President Trump's calamitous trade policy isn't bad enough, our state's junior senator, Republican Mike Rounds, makes the future of this debacle look even murkier with his namby-pamby reaction to the catastrophes that are the corn and soybean markets. Rounds was on Bloomberg Television last week splitting rhetorical hairs over whether the trade tensions started by Trump are a "war" or a "dispute." Rounds said that "right now it's a dispute," but acknowledged that "it's impacting our markets." Despite the negative impact, though, Rounds went on to say that "we'll allow the administration the time to put together their plan." Could he have made an utterance that is more feeble, more naively presumptive? Why feeble? Because our state's soybean crop is in the ground and maturing into a market that this week that has traded in the $8 per bushel range (Chicago prices), which is where soybeans were priced when I was brokering and trading commodity markets during the 1990s. The corn trade is in much the same shape. Rounds understands that time is of the essence when it comes to raising and marketing crops but is content to wait and see where the tariff imbroglio takes us. How tough is it for our trade-dependent soybean industry? It's brutal. Soybean prices have come down by $2 per bushel since last Spring and a good $3 per bushel since 2016, when Trump was elected. Given the 250 million bushels of soybeans that South Dakota's farmers produce every year, current price levels will see the disappearance of more than a half billion dollars from South Dakota's economy. Meantime, Senator Rounds expects us to wait for the Trump administration to put together a "plan." And that gets us to the "presumptive" part of Rounds' politically measured reaction to the collapse in the soybean market. Our junior senator's attempt at acknowledging the damage being done to South Dakota's farmers without overtly annoying President Trump actually assumes that Trump has a "plan" to move this game of tariff-chicken forward. That's absurd on the face of it. Last Monday's news that because of new tariffs Harley-Davidson is moving a substantial amount of its production overseas got a surprised reaction from the White House. Trump apparently doesn't get that this trade war of his actually impacts American manufacturers in ways that are unforeseen and unintended. The president was caught off guard by his make-it-up-as-you-go-along "policy," which doesn't look like much of the "plan" that Senator Rounds patiently awaits. As to our senior senator, Republican John Thune, there hasn't been much from his office about the collapse in corn and soybean prices. He did, however, post an op-ed last week with a homily about the nobility of farming. Lovely as the epistle was, Thune was essentially replacing a hard-headed examination of the pricing crisis with a sentimental wave of condescension. Both Thune and Rounds are coming up short in their responsibilities to be powerful voices for South Dakota's interests in Washington. As we so often heard from Pierre during the past few years when state tax receipts were hurt by low crop prices, South Dakota's economy is too dependent on our ag sector to let a commodity price crisis go unaddressed. choice to run as his Lieutenant Governor in November. She seems like a great pick from every angle I can think of. No doubt a lot our state's Dems are muttering a bit about the fact that Lavallee has up until recently been a registered Republican, but having ditched my GOP registration last Fall to register as an Independent because I couldn't identify with the party of Trump anymore, I find common cause with any former Republican who in recent months did the same thing. I hope the brilliant and highly accomplished Lavallee ends up sending the same message to our erstwhile party-mates as I did: You Pubs have gone off the deep end. No doubt my former Republican comrades have brushed me off as blithely as they would a few loose threads on their clothing, but losing a star-quality player like Lavallee should make GOPers wonder if their No-Longer-So-Grand Old Party isn't turning away many of its best and brightest. Lavallee's creds are right up there with the best of 'em. I can especially relate to the Northwestern University-Kellogg School MBA that Lavallee, a 4th-generation South Dakotan, sports. I frolicked (if you can use that verb to describe the cutthroat business of trading stock options) among many of those folks during my dozen years as a market maker at the Chicago Board Options Exchange. Some of the sharpest minds on that trading floor were honed at Chicago's Kellogg School. South Dakotans are lucky that this favorite daughter of theirs has chosen to put that top-drawer education to work right back here at home. As to the political value of pairing with Sutton on the Gubernatorial ticket, it's significant. There's plenty of tactical shrewdness in Sutton's country-boy demeanor. He understands that Lavallee is urbane, financially sophisticated and has a private sector track record through her consulting firm that puts her in league with some of the biggest enterprises in South Dakota. Lavallee's grasp of finance and economics will appeal to many in our state's business community, who probably scan the track record of recent Republican administrations with some serious dismay. GOP stewardship of South Dakota's economy has kept us so far behind the national and regional curves for so many years that voters must be pondering whether it's time to change. As a solid professional combo blending agricultural smarts with business finesse, the Sutton-Lavallee team will likely prevail over the usual skepticism aimed by culture warriors at a Democratic campaign in South Dakota. Why? Because this isn't your "usual" South Dakota Democratic ticket. Sutton himself is avowedly anti-abortion. South Dakota Right To Life gave him an "A" in 2016. And his 80% rating on South Dakota Citizens For Liberty's gun rights scorecard in 2017 is probably sufficient enough to cast him as an ally on the Second Amendment front. I know a lot of Democrats will chafe at his values, but Sutton is who he is. 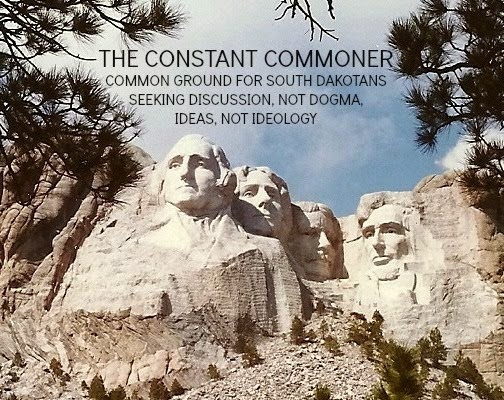 I believe the few Dems who abandon him will be more than offset by a large body of Republicans who can feel comfortable and maybe even enthusiastic about the prospect of modifying, if not altogether replacing, the political culture in Pierre with a ticket that any mainstream South Dakotan, regardless of party, can abide and support. South Dakota Congressional Reps? Yoo-hoo, Where Are You? about tariffs these days. 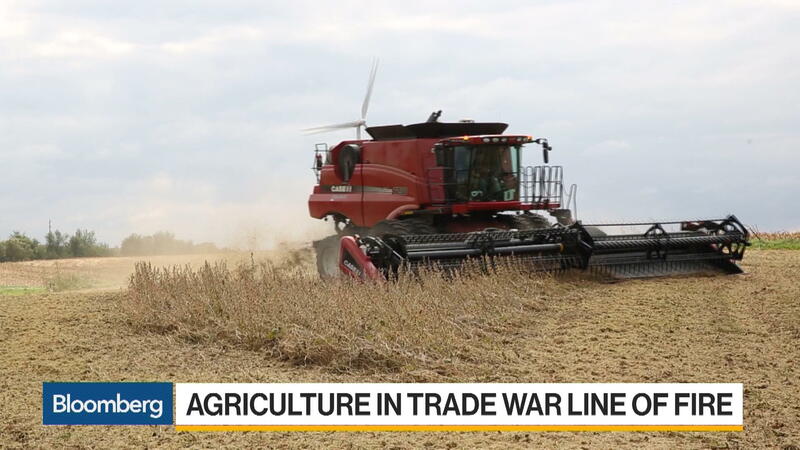 Our soybean farmers have been whipsawed by trade war news for months now, with no let-up in sight. It's tough to make planting and marketing decisions when one day the trade war is on and soybean sales to China will suffer, then the next day tempers cool off and soybeans look to have their markets intact. Soybean farmer Lindsay Greiner, the incoming president of the Iowa Soybean Association was no doubt speaking for many of his counterparts here in South Dakota when he talked last weekend about China's threats to reduce purchases of American soybeans. "One week you get good news and the next week you get bad, and that makes markets go up and down. That makes farmers anxious." Fluctuating commodity markets create more than enough anxiety for farmers, but this new dose of uncertainty over trade has to be especially unsettling in a state that went for Donald Trump with more than 60% of its vote. Soybean prices have given up nearly all the gains they made after Donald Trump was elected, falling below the psychological benchmark of $10 a bushel (per the Chicago Board of Trade) at the end of last week, when China said that "all trade promises are off if the U.S. imposes tariffs." That news took nearly a dollar off of soybean prices in a matter of days. Considering that last year South Dakota farmers harvested about 250 million bushels of soybeans, the effect of a price move like that doesn't just affect the farmers. This entire state will feel the economic aftereffects of a quarter billion dollars disappearing from our economy. Not to be ignored, hog farmers are similarly affected by the Trump administration's tariff-provoking rhetoric. Last week Mexico added 10 percent to its tariff on American pork, which only adds to the uncertainty among hog producers, who in South Dakota produced 1.2 million pigs last year. Iowa Farm Bureau Director of Research Dave Miller told NBC last week that since the trade war talk "heated up," hog prices went from being "slightly profitable to the point where most producers are losing money." Meantime, there doesn't seem to be much concern, let alone anger and outrage, over the looming trade war among our Trump-enabling Congressional delegates. Their collective wimpiness on this belies their concern for South Dakota's number one industry, agriculture. If you google "agriculture groups that support free trade," you'll find every mainstream ag organization in the country opposes Trump's tariff-spree. That opposition spills over to other industry groups as well. Reuters reports that 45 trade groups "representing some of the largest companies in the country" have urged Trump "not to impose tariffs on China." The supposedly pro-business Republicans representing our state in Congress seem helpless, if not altogether indifferent, when it comes to vigorously defending the interests of the private sector they profess to adore. Lame duck Congresswoman Noem is out of the picture and irrelevant, but it would be nice to see Senators Thune and Rounds make a forceful case against tariffs. In the process of finding their voices, they might actually end up doing their constituents some good. The recent Primary election held on June 5th saw some unusually frustrating moments. As a candidate for the District 34 House race I want to say congratulations to both Jessica Olson and Michael Diedrich for their win. This isn’t about contesting the race in any way shape or form. What I would like to address is the concern others and I have in the integrity of the system that we have in place. No one watches the campaigns, filing deadlines, opponents’ yard signs and ultimately the vote tally on election night more than a candidate. That’s pretty understandable. So when I received a call early Tuesday morning from a friend who was turned away from Southwest Middle School saying she was unable to vote I was concerned. How could this happen? She was told there was an internet problem and that a technician had been called but everyone would have to come back later to vote. What if they can’t? A few minutes later KOTA confirmed that indeed they now had heard about SW Middle school and the Calvary Lutheran polling place having trouble as well. I got a call from a 2nd friend who received the same instruction. He said he would “try” to go back on his lunch hour to vote. What if the lines are too long and he runs out of time? I ask my friend if she had been offered the opportunity to “give her name and show ID and vote with the poll worker taking her name.” She said, “No.” At SW Middle School it was also noted that there were no ballots actually there until after 8:30am. How were people supposed to vote from 7:00am-8:30am with no ballots in the first place regardless of the registration internet glitch? It was also reported that with the approximately one hour and forty five minute delay the solution to the problem was to use the books and keep the polling places open for an additional period of time. I called the Auditor’s office and asked how late they were going to be open. I was told 8:45pm. SW Middle School did not stay open until 8:45 but closed at approximately 7:30. Now we wait for results. I’m anxious as usual and watched the Secretary of State website at my desk at home. I’m not much of a partygoer so chose to pick up signs and watch the results at home. Others who went to the gathering called and when talking to them the SOS posted that in District 34 8 of 8 precincts had reported and indeed I had won coming in 2nd with 29% of the vote. The congratulations and cheers could be heard over the phone! Wow I had won. I looked at my computer and sure enough I had the bold face print on my name with the checkmark declaring me the winner! Amazing. But still on the phone with my friend I said, “This just doesn’t look right. There are not enough votes.” She agreed. We decided to be cautiously optimistic. I went about picking up my yard signs until about 11:30 and came home to the computer to find that now only 2 of 8 precincts have reported and although I’m still ahead it was a slim margin. I waited and watched refreshing my computer every few minutes as the SOS website says they will update with results every 5 minutes. I was up by a few percent, then I was behind by a few percent as 3 of 8 then 5 of 8 precincts reported. Then it got to 6 of 8 precincts reporting and I was at the total 1488 and 2nd place was at 1730. My optimism was draining away and I saw a loss coming. I waited. It was a quite some time, well after midnight, but I thought 2 precincts might make a difference. Maybe I could still pull off a win. All of a sudden the website flashed 8 of 8 precincts reported. I looked and to my surprise, and frankly dismay, the vote totals didn’t change. The vote tallies were exactly the same! How can that be? If the totals were 1488 and 1730 at 6 of 8 precincts how could they be the same at 8 of 8 precincts? That would mean that no one voted in 2 precincts because the numbers didn’t change. Not sure who, but it would seem someone has some “splaining” to do. Technology is a wonderful thing. The thought of handwriting poll books as my mother used to do or counting ballots by hand is not an option but can we be assured that all of the signals are reaching the right place at the right time? Did a lightening bolt suddenly hit the cloud? Numbers reported on the KOTA and KELO websites were both different at times from the SOS website! Integrity in our voting system is vital. It’s not enough to have free and fair elections, they have to be accurate and we have to have faith in them. The SOS office and the local auditors that dealt with this latest nightmare have to be wondering if the voter’s faith can be restored. Here in Pennington County there has been ongoing criticism of the office. I don’t write this with malicious intent to the SOS office or auditors but solely to bring to the attention of anyone reading it that if there are problems with the office or with the hardware/software they need to be addressed yesterday and any fixes need to be in sooner rather than later. November will be here before you know it. Short of that I plan to pet my dog, walk in the woods, write a book and blame my loss on the Russians! 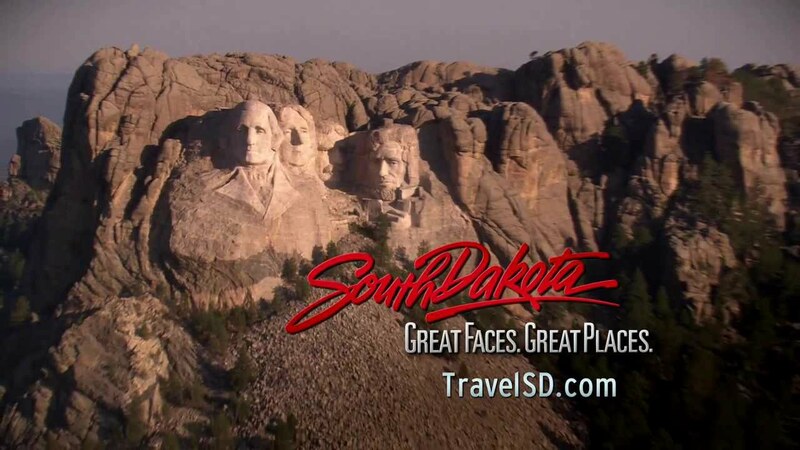 Is South Dakota Tourism Experiencing A "Trump Slump?" Tourism is my biz, so I'm naturally sensitive to trends as they develop in the industry. Lately I've noticed that the phrase "Trump slump" has become part of the trade's shop-talk. Given that the industry, both locally and nationally, had a so-so 2017, there's some reason for it. The tourism numbers are soft. What does that mean for South Dakota generally and here in the Black Hills/Badlands region specifically? Something definitely noticeable. We all have a piece of this action, given the size of our visitation market in western South Dakota. Statewide, tourists spent about $4 billion here in 2017, generating more than $6 billion in overall business sales. That supports 9% of the jobs in South Dakota. More locally-focused numbers are just as impressive, considering that the $140 million spent by the three million tourists who visited Mount Rushmore in 2016 support two thousand jobs in the region. Total spending by visitors to the Badlands, Jewel Cave and and Wind Cave accounts for another $150 million in spending in the immediate vicinity of those parks. The numbers pile on when you add the impact of our state-operated facilities, including Custer State Park here in the Black Hills. Will They Continue To Come? But nice as these numbers are, the trend since last year hasn't been so positive. Visitation numbers were largely static during 2017, at least in terms of our national park data, which nationally were down by a fraction of a percent. Locally, national park visitations last year were up a bit, with Mt. Rushmore accounting for a gain of less than one percent. On the spending front, South Dakota's tourists accounted for an annual increase of 1.2% in 2017. A gain is a gain, of course, but in context of overall consumer spending growth in the United States of 2.7%, our local tourism industry's take lagged far behind the national rate. Is there an actual "Trump slump" going on? Travel Weekly Magazine thinks so, blaming President Trump and his bellicose "America first" rhetoric and policies for a drop of 7.4 million foreign tourists annually, which the U.S Travel Association translates into a loss of about 100,000 American jobs. So far in 2018, the softness in national park visitation has continued. The downtrend has accelerated, actually, with national visitation numbers down 8% for the year, a number matched almost exactly through the end of last May at Mt. Rushmore and the Badlands. Considering that just about all other elements of the U.S. economy are showing gains, these contra-indicators are cause for some concern throughout the travel industry. No doubt the strengthening U.S. Dollar has probably had some effect on foreign visitors, making an American visit more expensive than it has been in recent years. Then there's the recent uptick in gasoline prices, along with interest rates. The reasons are myriad and the effect is measurable. Are Trump and his policies to blame? In my view, not entirely, but the leading experts in my field aren't quite so hesitant. They're the ones that have unabashedly labelled it a "Trump slump." Considering how softly 2018 has started in the National Park system, they might be on to something.